Welcome to Galerie Gigi where you will find fine art originals, limited edition prints and sculptures by many of the world's finest artists at the BEST prices. We will beat ANY website or gallery price! We are wholesale dealers of all fine art. Galerie Gigi will buy art, sell art, consign art and lend on art by a variety of artists including LeRoy Neiman, Norman Rockwell, Erte, Bob Byereley, James Coleman and many more. Galerie Gigi has been selling and buying fine art for over 15 years! On our site you can browse & view the art, inquire on consigment or selling your piece, contact Gigi and get more information on Galerie Gigi on our About Gigi page. We hope you will visit regularly as we are always updating our art inventory daily! 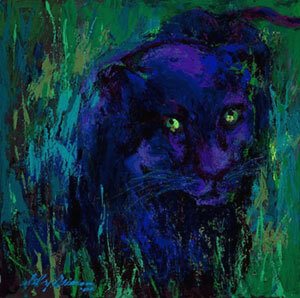 Beloved Artist LeRoy Neiman passed away June 20th, 2012 after battling an illness at the age of 91. We celebrate his great artwork and would like to invite all Neiman buyers, Neiman collectors and Neiman sellers to contact Gigi today. We are currently seeking all LeRoy Neiman originals and reproductions. We have very exclusive inventory of Neiman pieces and the prices are going to be changing with his passing so be sure to call Gigi today to discuss the LeRoy Neiman artwork you have or you are looking for!